Glass machinery and consumables supplier, Bohle, has taken delivery of a recycling compactor for its cardboard and polythene packaging waste. 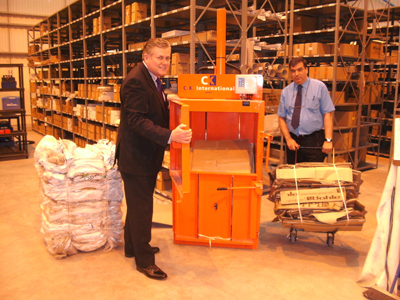 Chris Conway Bohle’s purchasing manager said: “The main reason we purchased a recycling compactor was in order to reduce our ever increasing waste management costs. “We contacted a company called Landfill Alternatives who visited our site and advised us on which compactor would be most suited to handle the amount of recyclable packaging waste we generate. “Purchasing a recycling compactor has made financial sense as we’re no longer filling skips with compactable waste and paying to have it taken away. 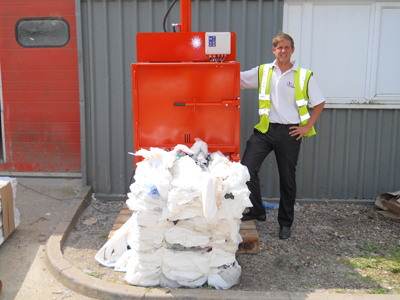 “We now have our compacted recyclable waste collected and we also receive revenue for it as well. Door-sets from Manse Masterdor with U-Values of 1.0W/m2K are being fitted into one of the UK’s biggest ever zero carbon social housing developments. The £12 million Park Dale development will meet Code for Sustainable Homes Level 6. 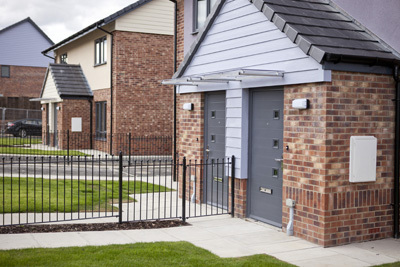 The 91 homes in Airedale, near Castleford in West Yorkshire, are being built using traditional construction methods by Bramall Construction for Wakefield and District Housing and will feature 160 Masterdor Timber Thermal door-sets. Part-funded by the Homes and Community Agency (HCA), the two, three and four-bedroomed homes will use a combination of energy saving and carbon-reducing features including mechanical ventilation and heat recovery systems, photovoltaic panels, and grey water recycling. The 54mm Masterdor Timber Thermal door-sets will deliver superior levels of air tightness (800 Special). 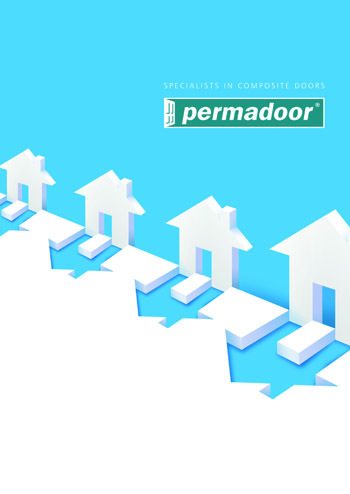 The thermally efficient high security door-sets have an insulating core and also meet and exceed the requirements of PAS23, PAS24 and Secured by Design. Panel Systems has released a website that provides up-to-date information and easy online purchase of its Styroliner dry lining boards. Styroliner, which helps to create warmer rooms and reduce energy consumption, consists of extruded polystyrene insulation bonded to 9.5mm plasterboard. The website, www.styroliner.co.uk features an overview of the product’s features and benefits, as well as describing typical applications, including new builds, renovations, lofts and garages. It also gives step-by-step advice on installation, with photographs at different stages and detailed technical specifications, including the U-values achieved with a variety of Styroliner board thicknesses. The Styroliner range is suitable for both new builds and refurbishments and has environmental benefits, as it is CFC and HCFC free, as well as making buildings more energy efficient, reducing carbon dioxide emissions in the process. Styroliner can be ordered in a range of thicknesses to meet specific thermal performance requirements. 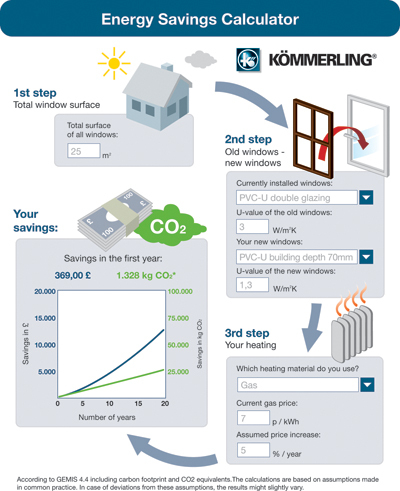 U-value calculations can also be performed by Panel Systems’ technical team. The boards can be fixed to a wide range of wall and ceiling constructions, then finished using either a plaster skim or with established dry wall techniques. 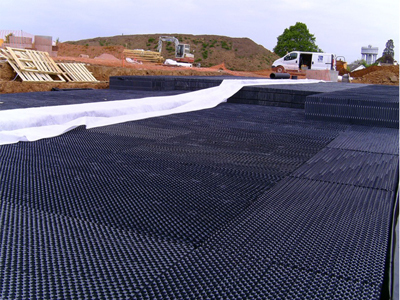 Styroliner boards are supplied in sizes 2400mm x 1200mm. 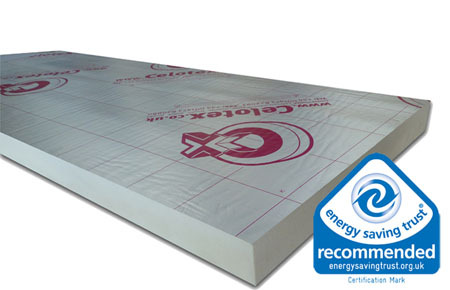 No specialist equipment is required to fit the lightweight boards, which can be easily cut on site. Pilkington energiKare Legacy – ultra-thin energy-efficient vacuum glazing – has returned to its original global name: Pilkington Spacia. This glass from the NSG Group has been successfully installed in Japan for more than 12 years, and now features at the construction research consultancy, the Building Research Establishment (BRE). 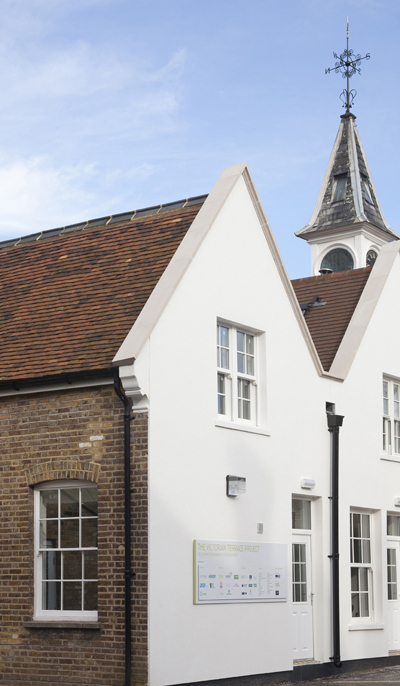 The Victorian Terrace at the BRE has been refurbished into three energy-efficient homes. One of the energy efficiency problems of the property was its former sash windows. Victorian sash windows, while being aesthetically pleasing, are notorious for allowing heat to escape from a building. Not only are they mostly single glazed, they often do not fit snugly, which can create draughts. 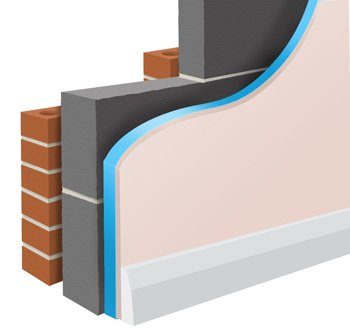 Pilkington Spacia offers similar thermal insulation to double glazing, yet is the same thickness of single glass at just over 6mm. It also has a better acoustic performance than triple glazing. Based upon urban road traffic, the noise level is reduced by 31dB compared to triple glazing (using three panes of 4mm glass) which reduces the noise by 27 dB. This enables period properties such as this Victorian Terrace to maintain their original look and charm, while providing the cost savings and comfort double glazing offers. The Victorian Terrace will now be monitored for several months to provide a convincing demonstration of the results achieved thought smart refurbishment. The targets for the property are: a minimum SAP rating of 80, CO2 emissions of less than 35kg/m2/yr, a whole property energy saving of more than 60% compared to the energy saved before refurbishment, to produce at least 10% of the energy the property uses. Solar Gard has introduced a new low-emissivity retrofit window film for homeowners and facility managers that provides energy savings at a lower cost and lower carbon footprint than replacement windows. 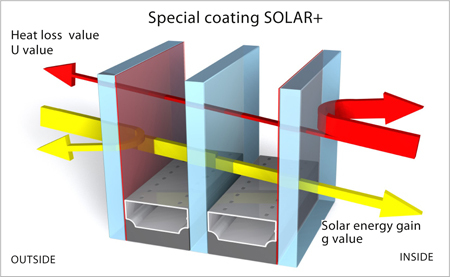 The film, Solar Gard Silver AG 50 Low E, transforms standard glass into high performance windows, resulting in cost savings of up to 80% over replacement low-e windows. This reduces energy consumption year-round, lowering costs associated with heating and cooling, and improving a building’s carbon footprint. Windows are a major cause of energy loss, both in winter and summer. During colder periods, Solar Gard’s new low-e window film reflects 63% of interior heat back into a room, compared to untreated windows which only reflect 16%. During warmer periods, the film reflects solar heat away from windows, keeping interiors cooler and reducing the need for air conditioning. The product also has the highest visible light transmission (VLT) of any low-e window film on the market, allowing more natural light into a building and preserving views. Baxi Commercial Division has launcheed the Ecoskid, a new prefabricated condensing heating system that extends the portfolio of high efficiency, low and zero carbon solutions. 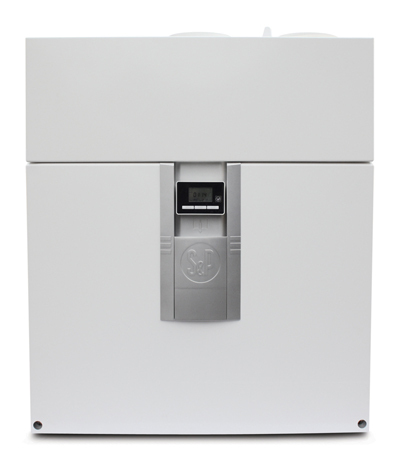 Designed to provide the market place with an easy to install, fully prefabricated heating solution, it is a development of the early non-condensing prefabricated heating system which it replaces and the MB Series modular condensing boiler option that will continue as a popular specifiers’ choice. 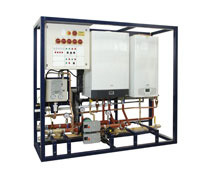 The key differentiator from a traditional prefabricated heating system solution is the capability to supply the Ecoskid with an integrated LZC solution, such as the BaxiEcogen Micro CHP, or a direct- fired condensing water heater, for instance the stainless steel NEOflo from Andrews Water Heaters. A hot water option which can be selected to provide either hot water priority for an external cylinder or heating only, with the Andrews Water Heaters NEOflo. The boilers complete with either silicon aluminium or stainless steel heat exchangers, are installed with all pipework, water and gas isolation valves, pressurisation unit with pressure switches and Class A low energy system pumps, on a robust powder coated frame. A full system control panel is factory fitted including auto switches and alarms, and there is provision for BMS interface for alarms and controls or integral system control. Electrical isolators are provided for each item of integrated equipment. The micro-CHP option incorporates an integral Ecogen CHP unit displacing the CO2 emissions associated with grid supplied electricity. The control system automatically uses the Ecogen as the lead boiler to maximise the carbon reduction associated with CHP technology. The Ecogen provides 6kW thermal output at 1kW electrical output, with an additional 18kW thermal output from an additional burner, achieving 90% overall operating efficiency. The new Ecoskid is also available with a standard plate heat exchanger option for retrofit into old systems. Conservatory Outlet has entered the triple glazed market with the launch of the Triple Glazing Superheroes. 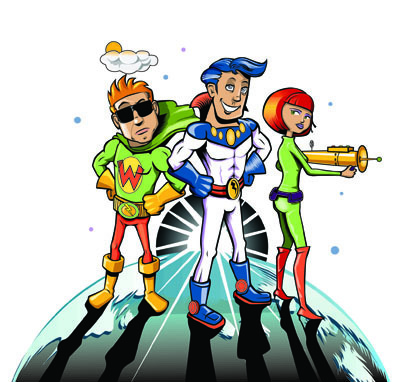 Flash Carbon, Solar Lola and Weatherman make up the trio of superheroes who have been sent to Earth to help humans “save energy, save money and save the planet before it’s too late”. A dedicated retail website, www.tripleglazingsuperheroes.com, outlines the benefits of triple glazed windows, and aims to raise awareness of such products in a UK market so accustomed to double glazing. Conservatory Outlet’s managing director Matthew Glover, and sales director Greg Kane, believe that triple glazing represents a huge opportunity for installers. Fifteen Conservatory Outlet dealers voted unanimously in favour of triple glazing when the idea was floated at a dealer conference held at the beginning of April. Since then the fabricator has worked tirelessly to ensure that it delivered on its promises. 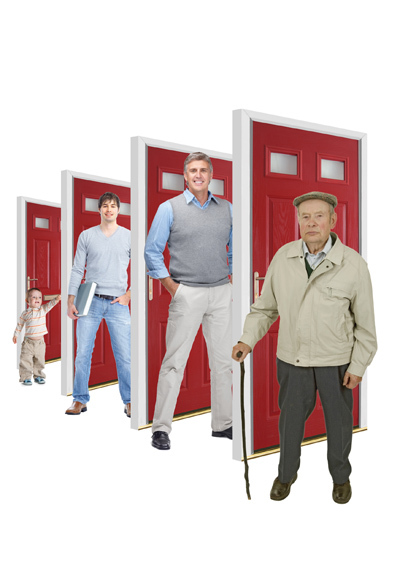 The quirky website is designed to live long in the memory of those looking for replacement windows and doors, and generate retail leads for triple glazing. Although light-hearted in some respects, the main sales messages are taken from the Conservatory Outlet’s own research, and that of its main suppliers, which provides justification for the extra pane. Matthew Glover said: “We wanted to enter the triple glazed market in spectacular fashion and enable our dealers to benefit from both early-mover advantage and a bold marketing campaign. I think we’ve certainly done this with the Triple Glazing Superheroes! EnviroVent has launched the Ideo, a whole house heat recovery system perfect for larger properties to create an all year round ideal indoor climate with minimum loss of energy. The unit includes an intelligent programmable remote control module, frost protection and hibernation mode. The Ideo also comes with a 100% automatic summer by-pass as standard with the facility to allow night time cooling. The Ideo’s intelligent wireless control module has a filter change indicator, programming mode and temperature gauge. This smart heat recovery system can even monitor how much energy it has consumed, and how much energy the household has saved by using it. The wireless control can be mounted into the product, onto a wall or a shelf. The system has been designed to allow easy access for rapid maintenance. The filters, located at the front of the Ideo, can be changed without having to dismantle the unit, they simply pull out to be removed and replaced. Heavier F7 grade filters are available for households with allergy sufferers or locations where pollution is an issue. Sash window manufacturer, Masterframe Windows, now offers A rated sash windows as standard for its trade clients offering replacement windows, (new-build installations still require U-values for SAP calculations not WERs). 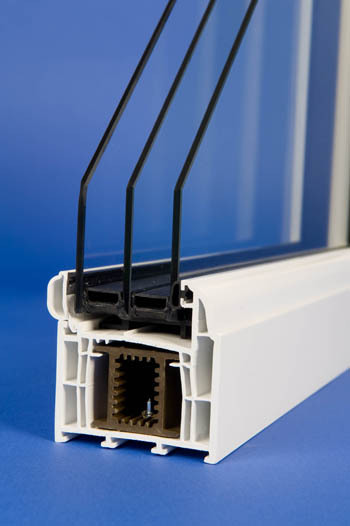 Masterframes many claims include being the first to achieve any window energy rating (the first five certificates from BFRC were registered to Masterframe), the first company to be Energy Saving Trust recommended, and the first to be recognised by the Police for an enhanced security PVCU sash window. The company now claims to be the first sash window manufacturer to offer all its trade PVC sash windows as A rated as standard, with the option of Secured by Design. 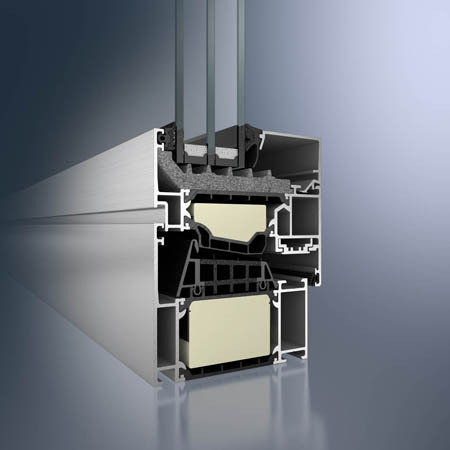 With a whole window U-value of 0.8W/m2K, the new AWS 90.SI aluminium window system from Schueco UK, achieves PassivHaus levels of insulation – previously only obtainable using PVCU or timber – in a frame depth of just 90mm. 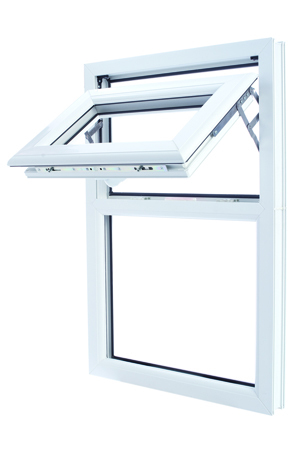 Designed for use with triple-glazed units delivering a U-value of 0.6W/m²K, this window is ideal for use in highly insulated residential or commercial buildings. Also available is a matching glazed door system, designated ADS 90 PL.SI, which delivers a U-value of 1.0W/m2K and a water tightness rating of 300Pa. With a full range of profiles, together with size options for vents, outer frames and mullions/transoms, the Schueco AWS 90.SI inward opening window system is versatile. Possible configurations range from simple tilt turn opening lights to floor-to-ceiling window walls; it can also be inserted directly into Schueco facades, including the .SI (super insulation) versions which have been successfully tested to the CWCT performance standard. The windows can be manufactured using the Schueco AvanTec range of concealed fittings allowing vent weights up to 160kg and security options up to Class 3 of EN 1627. The advantages of these concealed fittings include tested performance, clean lines and no problems with plaster lines or colour co-ordination with the frame. Profiles can be colour-coated or anodised, with different colours on the inside and outside faces if required. Spectus Window Systems has launched a triple glazing marketing campaign for fabricators and installers across the UK. Spectus uses argon rather than expensive krypton to deliver 0.8W/m²K whole window U-values, and the campaign focuses on this. 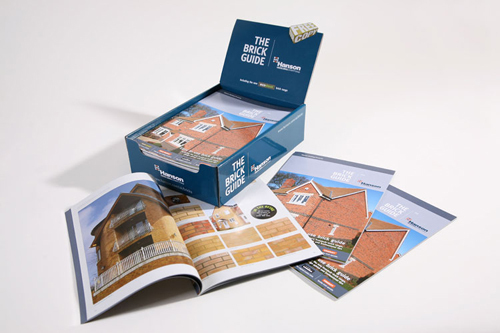 The marketing initiative provides a suite of literature and information for fabricators to pass on to installers. The triple glazing marketing campaign comes ahead of further revisions to the Approved Document L (ADL), expected in both 2013 and 2016, which will see the introduction of a ‘zero carbon’ policy for new homes. This means a building’s CO2 emissions will need to be reduced to zero or offset in some way, providing a challenge for housebuilders. From 2019 the ADL regulations will apply to all commercial new builds and at some point it is widely believed that existing buildings will need to be refurbished to improve their energy efficiency too. Swish Building Products has secured the green standard BES6001 across its roofline range. 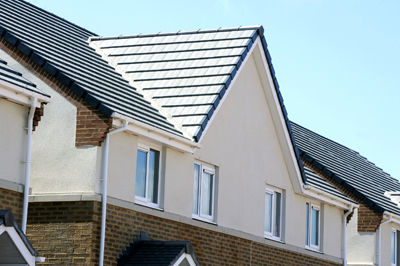 The PVC roofline company joined a handful of companies to have secured the new standard in the summer meeting a range of strict criteria ensuring responsible sourcing of construction products. 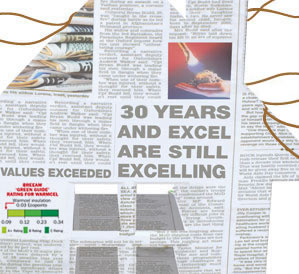 Including an assessment of organisational governance, supply chain management and social and environmental impact, the new standard was written into the Code for Sustainable Homes in late 2010. In securing the standard across its PVC fascia, soffit, cladding and window board ranges Swish Building Products is able to offer developers access to a product offer that gives them maximum points under the Code (tier level 1). This represents to date a unique achievement for a PVC company, matching FSC timber specifications in Mat2 and Mat3 of the Code. The Swish certification can also be viewed on the Green Book Live website www.greenbooklive.com . Greg Wilde, Swish Building Products, said: “We believe that the standard is confirmation of just how serious Swish is about its responsibilities to its customers and to the wider construction industry. BES6001 ‘pulls’ together a number of other standards to demonstrate a commitment to responsible sourcing of materials. Swish Building Products only secured the new standard after previously securing the quality management standard ISO9001, the environmental management standard ISO14001 and occupational health and safety OHSAS18001. Swish also had to demonstrate that it had policies and management systems in place to make sure that the raw materials it purchases come from responsibly and sustainably managed sources. Manufacturer of biomass heating systems, Windhager UK has recently doubled the area of the company’s training facility to coincide with the new style of HETAS training course. It is one of just 10 approved UK HETAS training centres in the UK. The new course structure now encompasses both theory and practical training and runs alongside Windhager’s own product training courses. The new practical training room, located at the company’s head offices in Chippenham, is a development of the existing facilities and an extension of the ground floor showroom and training room. The practical training area was created in line with the new HETAS course criteria for 2011, which includes practical assessments and training to replace the theory only courses previously conducted. 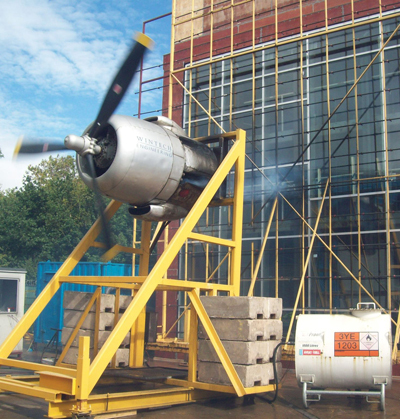 Windhager has now adopted three new courses developed by HETAS - practical training for an installer of dry appliances (three days) with the option for an additional day course on the installation of wet appliances, as well as a practically assessed four-day training course on wood biomass appliances. This latter course meets the requirements for MCS registration and provides MCS certification for those successfully completing the course. 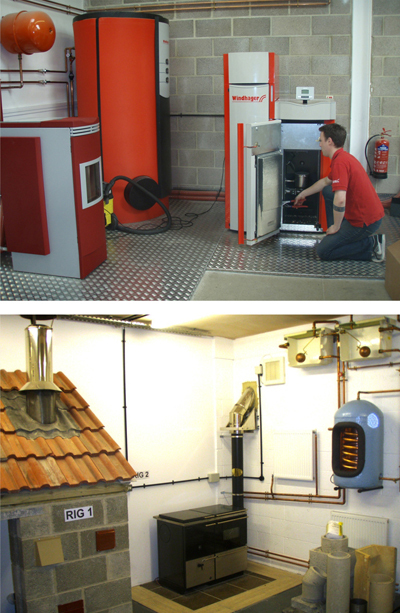 Delegates attending any of the courses can see first hand installations of biomass and solid fuel installations. Working models and test rigs for full practical training and demonstrations allows delegates to gain a better understanding of the installation process, operation and servicing of appliances. The new area of the training facility is dedicated to correct installation methods of appliances and chimney systems. The existing training area remains as a multi-functional area for demonstrations to customers and the venue for product overview days.